SAN DIEGO BATHROOM REMODELS / MURPHY'S BATHROOM REMODELING We are fortunate to do bathroom remodeling in San Diego, America's finest city! 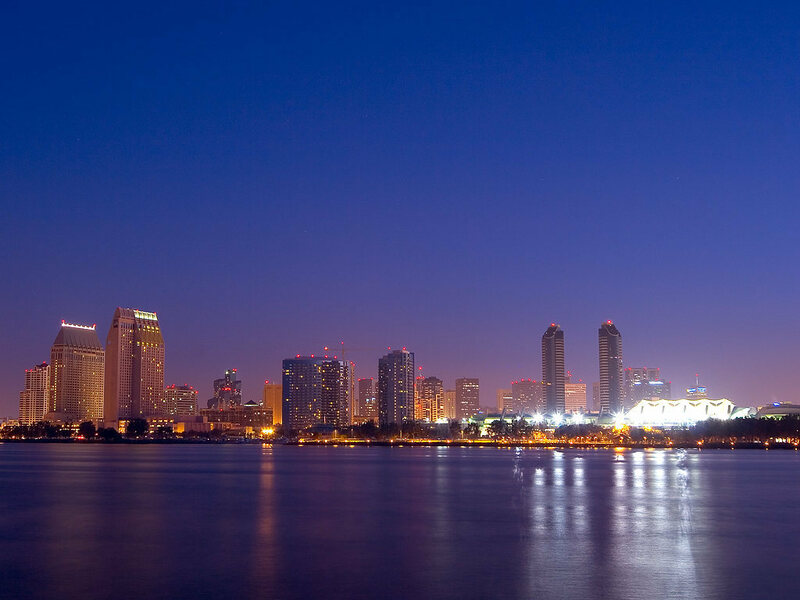 We work everywhere in San Diego county. Residents of San Diego enjoy great weather, beautiful scenery, a thriving business community, and a diverse cultural community. If you're considering updating or completely renovating a bathroom, we specialize in Bathroom remodeling. Bathroom remodels are all we do. Call Murphy's Bathroom Remodeling at 858-375-3901. Bathrooms are no longer considered simply a space to clean oneself. Now they have become a place to relax the mind and body. Relaxing in a bathtub for a while and taking calming breaths in an aromatic atmosphere can lighten up your mood. It can have the same result as a therapeutic massage. As it's a place meant to clean yourself as well as relax, it's good to renovate your bathroom every once in a while. Murphy's Bathroom Remodeling are experts at giving a luxurious feel to your relaxation spot. We can help you bring your dream bathroom to life. Your bathroom is a place that you use to energize yourself for the day ahead. We can help you to start your day on the right foot. If you are looking to remodel your bathroom, forget about a do-it-yourself plan as remodeling involves intricacies with tiling, electrical, and plumbing operations. If you have decided to replace your bathtub with a shower, we can make this a convenient process for you. We are licensed bathroom remodelers and we get the job done right. We usually take just over a week to execute this transformation. 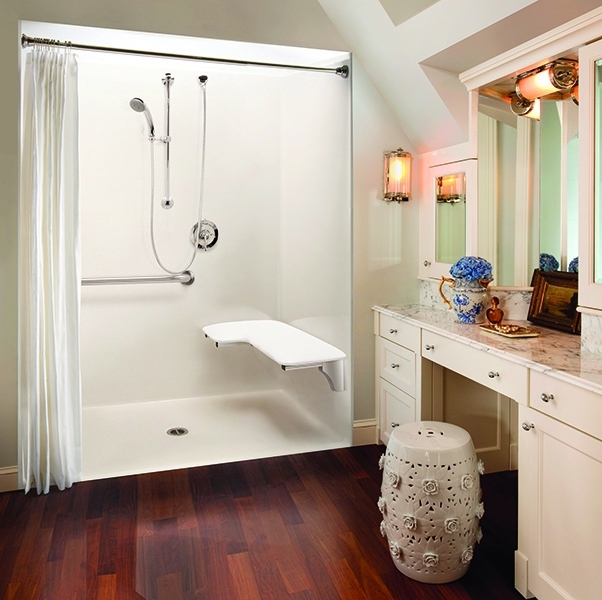 You can customize the color, style, materials, and accessories of your shower. 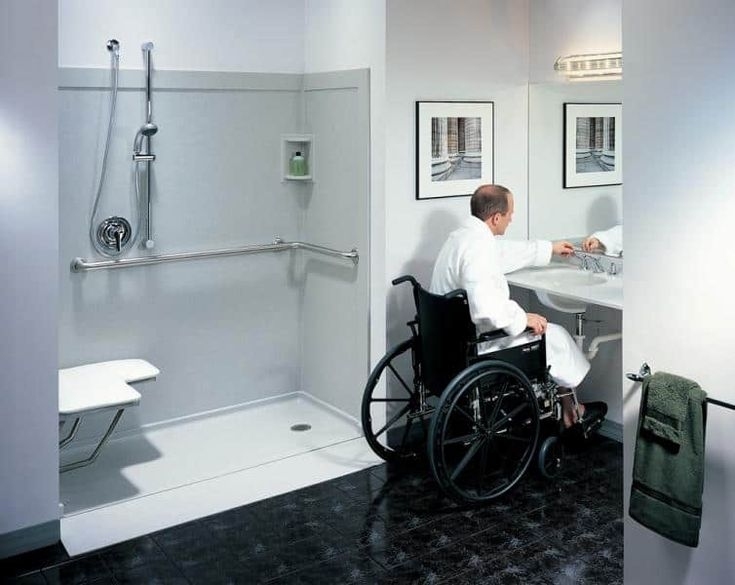 Many people use wheelchairs, but a bathroom can be an difficult place for people who use a wheelchair. If any member of your family is physically disabled and is concerned for their safety, you can call us. We will transform your bathrooms bearing in mind the safety of handicaps and adults without compromising the modern and luxurious style. We will help you to maintain the level of personal independence while remodeling your bathroom. We remodel a bathroom for people of all abilities. A proper design is the first step. Once the design is finalized, we will proceed with no delay. The next step is to decide on materials to bring your vision to life. We will also give you enough time to ponder over bathroom fixtures like shower styles and cabinets. The next step is to transform your bathroom. We will work on tiny details so that your dream can come true at once.We guarantee that your vision will be executed efficiently. Do you have more questions? Give us a call. It's time to renovate your bathroom! 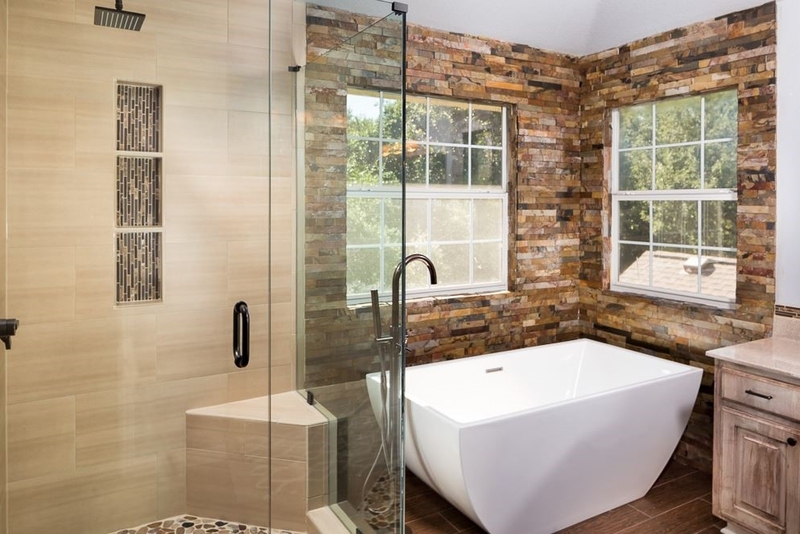 Bathrooms are the most used room in the house and when it comes to reconstructing or remodeling the house, utmost attention needs to be given to the bathrooms. In fact, many architects advise on turning the bathrooms into luxury rooms. Some people believe that they can do bathroom remodeling on their own, but it's best to hire a professional. Well, if you are looking for a professional bathroom remodeling contractor in San Diego, look no further. Murphy’s Bathroom Remodeling is here to lend you a helping hand. The major benefit of hiring an expert bathroom remodeling contractor is that they are well versed with their work. They hold effective experience and know how to handle emergency situations. Moreover, the experts working in such firms hold much knowledge about using various tools and technology. All these qualities can be easily found with us at Murphy’s Bathroom Remodeling. Our completed projects speak volumes about our work and have gained us many new clients. Our clients prefer coming back to us for their second and third bathrooms because of the quality work we offer. We have worked as a bathroom remodel contractor in San Diego for many years and have earned quite a good reputation here. Moreover, it is very easy to get in touch with us. You just need to visit our website https://www.sandiegobathrooms.com/ and get that perfect and flawless remodeled bathroom that you have always desired.